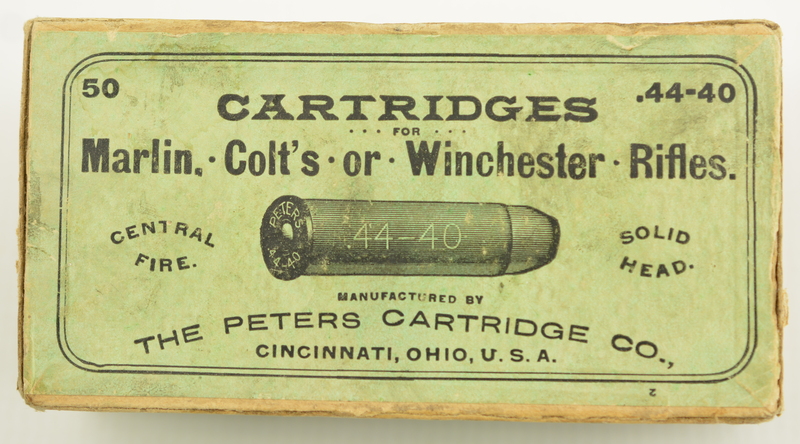 Description: Sealed Peters Box of 44-40, green and black label on the cover marked Marlin colt or Winchester rifles. The front face label and the end labels just marked for Winchester rifles. Obviously the market that they were attempting to reach. All the labels are complete. Some minor smudges that may clean. 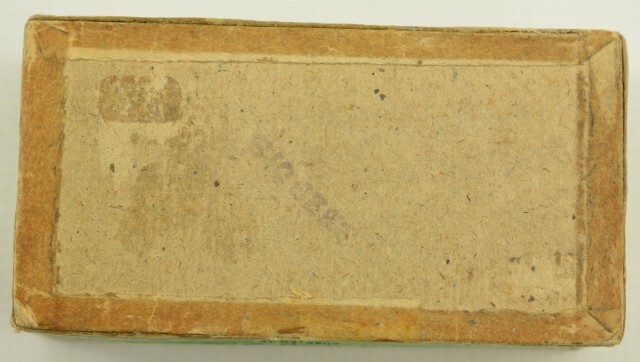 We have had no success in finding a comparable box. 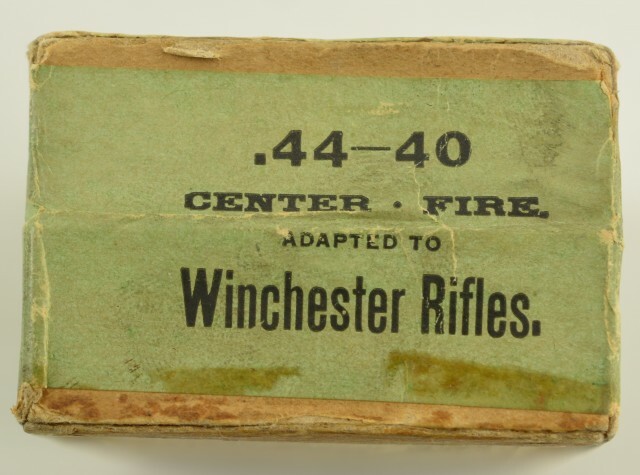 Nice bullet graphic with 44-40. 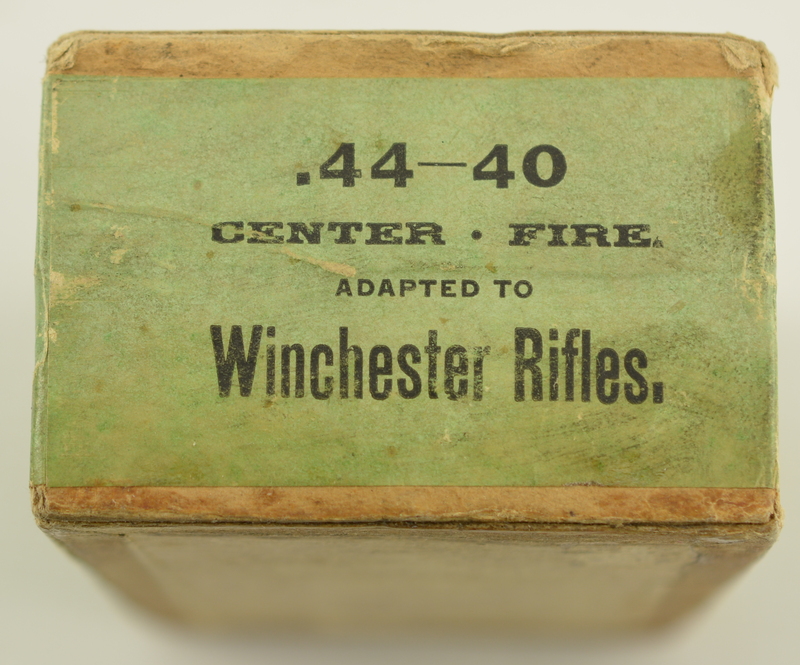 Solid head and central fire marked. back label notes loaded with King's semi-smokeless powder. A scarce box for the Peters or Winchester collector.